Navigate to the logging subsystem configuration. This step varies between servers running as standalone servers and servers running in a managed domain. Click on Profile, expand Core in the Profile pane, and then click on Logging. Click on Profile, select the profile to edit, expand Core, and then click on Logging. Add and remove log handlers. Add and remove log categories. Add and remove log handlers from a category. 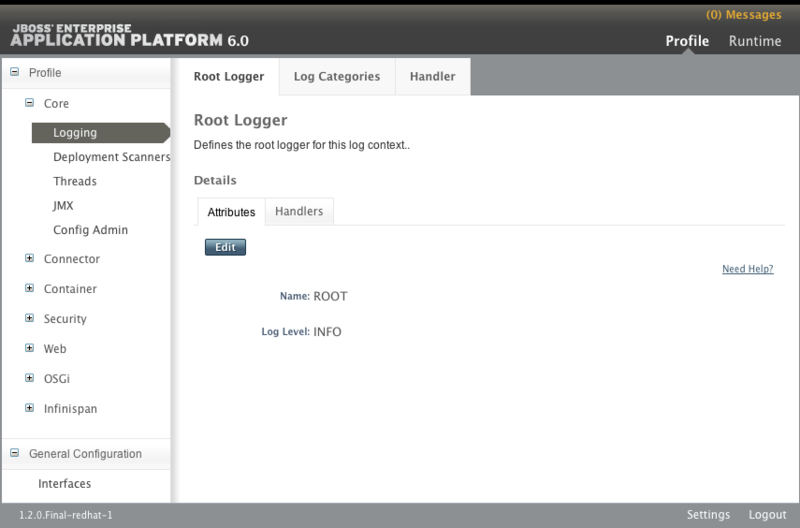 All six supported log handlers (including custom) can be configured in the management console.